Born Sep 23 18982,4,5,6,7,8,9,10 [Sep 23 189311,12,13,14], Foss, Washita County, Indian Territory, Oklahoma2,4,5,6,7,8,9,10. 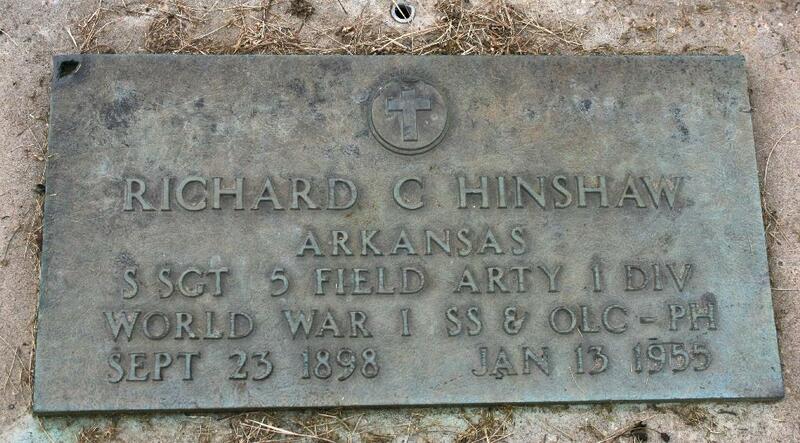 Hinshaw, Richard, son, age 1, born Sept 1898 in Oklahoma; father born in Kentucky; mother born in Arkansas. 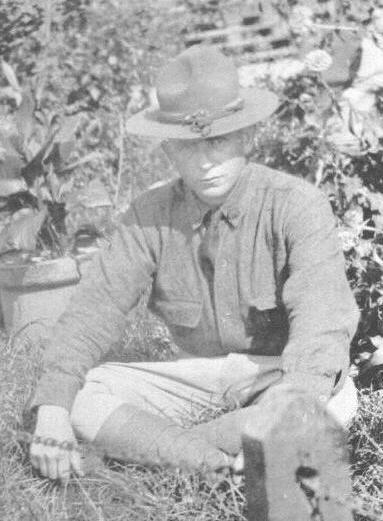 Henshaw, Richard C., age 22, born in Oklahoma; father born in U.S.; mother born in South Carolina; occupation: private. Hinshaw, Richard C., head-of-household, age 31, born in Oklahoma; father born in Oklahoma; mother born in Arkansas; first married at age 24; rented home ($15 rent); no radio in home; occupation: proprietor, auto repair shop; World War I veteran. 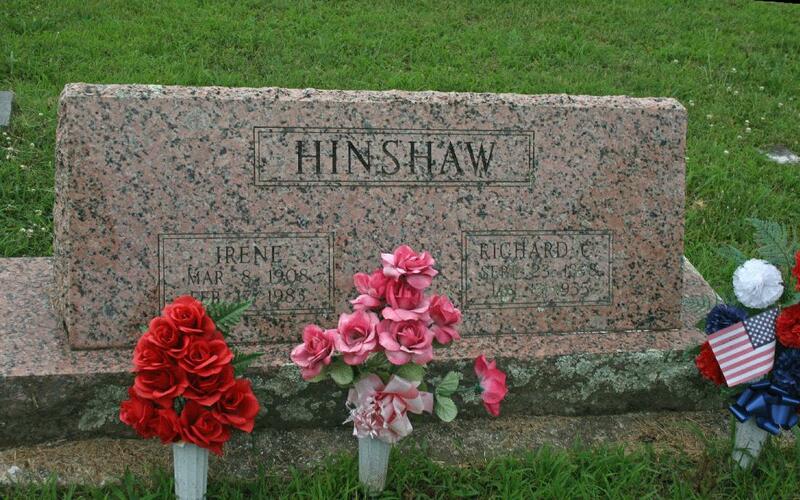 Hinshaw, Irene, wife, age 21, born in Arkansas; parents born in Arkansas; first married at age 15. Hinshaw, Richard, head-of-household, age 41, born in Oklahoma; completed 7th grade; on Apr 1 1935 was living in rural Crittenden County, Arkansas; rented home ($12/month rent); occupation: watchman, dog race track; worked 52 weeks in 1939; $1300 wages in 1939. Hinshaw, Eda Irene, wife, age 31, born in Arkansas; completed 8th grade; on Apr 1 1935 was living in rural Crittenden County, Arkansas. Hinshaw, Robert S., son, age 9, born in Arkansas; completed 4th grade; on Apr 1 1935 was living in rural Crittenden County, Arkansas. Hinshaw, Glen Richard, son, age 8, born in Arkansas; completed 3rd grade; on Apr 1 1935 was living in rural Crittenden County, Arkansas. Hinshaw, Laura Bell, daughter, age 6, born in Arkansas; completed 1st grade; on Apr 1 1935 was living in rural Crittenden County, Arkansas. Hinshaw, John B., son, age 4, born in Arkansas. Hinshaw, Louis Wesley, son, age 3, born in Arkansas. Hinshaw, Donald Kay, son, age 2, born in Arkansas. Hinshaw, Milton Folbe, son, age 6 months, born in Tennessee. Contribution from Dale Hinshaw McMasters. 1940 census, Mississippi Township, Crittenden County, Arkansas; roll T627-131, ED 18-20, page 7B, line #67, household #176.
of all of her children; Personal knowledge. 1900 census, Elk Township, Washita County, Oklahoma Territory; ED 208, page 69B (sheet 22), line #89, dwelling #444, family #444. 1930 census, Turrell, Tagleman Township, Crittenden County, Arkansas; roll T626-71, ED 4, page 2A, line #34, dwelling #34, family #39. Indiana Marriage Records Index 1845-1920; Ancestry.com; book 50, pg 98. Indiana, Select Marriages, 1780-1992; http://www.ancestry.com. Contribution from Dale Hinshaw McMasters citing: census data. 1920 census, Camp Zachary Taylor, Jefferson County, Kentucky; roll T625-577, ED 18, page 13B, line #97. Indiana, Marriage Collection, 1800-1941; http://www.ancestry.com. Marriage certificate, Poinsett County, Arkansas. Contribution from Mary Bloemker (). Death certificate, State of Tennessee; Personal knowledge. Photo courtesy of Dale Hinshaw McMasters.